Burgas is the second largest city on the Bulgarian Black Sea Coast and the fourth-largest in Bulgaria after Sofia – the capital of Bulgaria, Plovdiv, and Varna, with a population of 211,033 inhabitants, while 277,922 live in its urban area. Burgas is important industrial, transport, cultural and tourist centre. 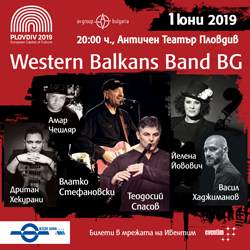 Burgas is situated in the westernmost point of the Burgas bay and in the eastern part of the Burgas Plain, in the east of the Upper Thracian Plain. The town is located 359 km from Sofia and 242 km from Plovdiv. The city is surrounded by the Burgas Lakes and located at the westernmost point of the Black Sea, at the large Burgas Bay. To the west, south and north, the city is surrounded by the Burgas Lakes: Burgas, Atanasovsko and Mandrensko, which are home to over 250 species of birds inhabiting the lakes area, 61 of which are endangered in Bulgaria and 9 globally, attracting keen birdwatchers from all over the world. The Port of Burgas is the largest port in Bulgaria adding significantly to the regional economy. The Burgas Airport is the second most important in the country. Burgas is the center of the Bulgarian fishing and fish processing industry. Burgas also hosts several annual national exhibitions and international festivals and has a vibrant student population of over 6,000. 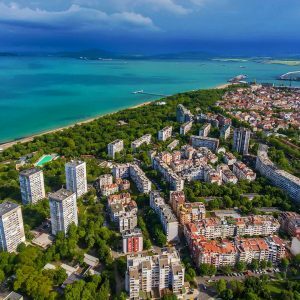 In 2013 Burgas has earned the Bulgarian award “Best city to live in”. 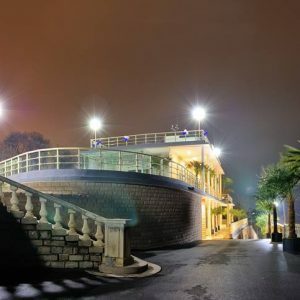 The history of Burgas can be seen in many museums indoors and outdoors which we present you in the category – attractions in Burgas.